Speaker: Kim Ogg, Candidate for Harris County District Attorney. 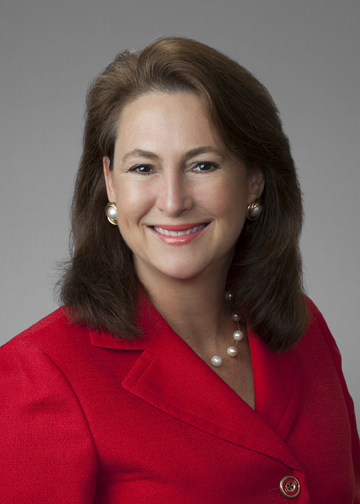 Kim Ogg is currently the Democratic nominee for Harris County District Attorney. She is a native Houstonian; licensed by the State Bar of Texas in 1987; and recognized as a specialist in Criminal Law by the Board of Legal Specialization since 1992. Kim Ogg served as a prosecutor for the Harris County District Attorney from 1986 – 1994, where she served as a Chief Felony Prosecutor. She was appointed by Mayor Bob Lanier as the City of Houston’s first Anti-Gang Task Force Director in 1994 and oversaw a 40% reduction in gang crime during her tenure. From 1999 - 2006, Kim was the Executive Director of Crime Stoppers and led the organization to national record-breaking years of assisting law enforcement in the capture of thousands of violent felons. In 2006, Kim transitioned to private legal practice and is currently the Managing Partner of the Ogg Law Firm, PLLC, a boutique litigation firm fighting for the rights of families, individuals accused of crimes, and police officers and citizens whose civil rights have been violated. Kim now seeks to bring her strong track record of public service and twenty-six years of professional experience to the position of Harris County District Attorney. Kim Ogg is running for DA because she believes that despite the expenditure of tens of millions of tax dollars, the justice system is failing. She believes that major reforms to our criminal justice system must be implemented if we are going to increase public safety and also insure that no one is wrongfully convicted. To accomplish this, Kim believes we must stop sending tens of thousands of low-level drug offenders to jail and instead send them to work on our bayous and waterways as community service. The recouped savings may then be used for the investigation and prosecution of violent gangs and professional criminals responsible for the majority of crimes in Harris County. Kim’s platform further promotes a major increase in the investigation and prosecution of white collar crime, consumer fraud – especially of the elderly-- human traffickers, environmental polluters, and those who would betray the public trust.